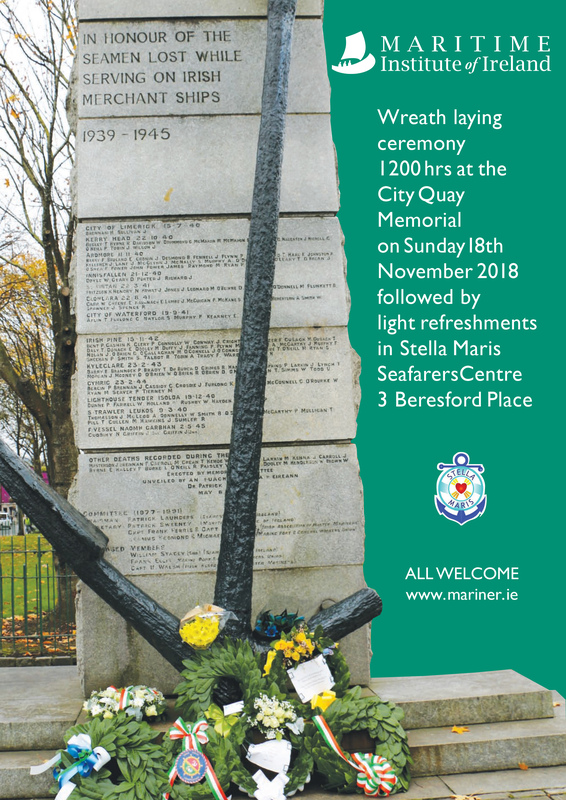 The Maritime Institute of Ireland will be holding their annual Commemoration Service for Irish Seafarers in Dublin this Sunday 18th November. These annual commemorations remember all who died at sea and in particular seafarers who were lost on merchant ships during World War Two. Inscribed on the City Quay Memorial are the names of those, now largely forgotten by their fellow countrymen, who served under the Irish tricolour and lost their lives at sea during the second world war. The Second World War raged bloody in the Atlantic Ocean and in the heart of the battle was neutral Ireland – locked within a war zone. Ireland was in a perilous position and our neutral stance more than anything isolated the country. But Ireland could not afford to stay out of the water. We still needed to trade surplus food stocks with the UK and relied on British tankers for petroleum. The Irish Mercantile Marine were prepared to work for Ireland despite the appalling and terrifying conditions. They made the ultimate sacrifice and traveled the treacherous waters to do overseas business and trade risking all and suffering heavy losses to maintain the balance of essential trade. Irish ships initially sailed in British convoys but decided it was best to sail alone for a better chance of crossing the channel unimpeded. Instead, they relied on their neutral markings – which had varied success. 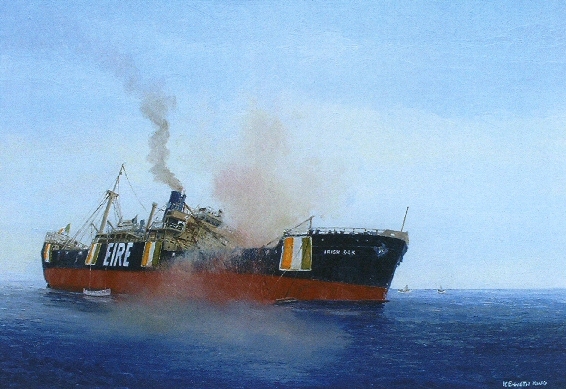 The ships were unarmed and identified themselves by painting the Irish tricolour and EIRE in large letters on the sides of their ships and decks. The Maritime Institute will remember these great seafarers who lost their lives in service to their country this Sunday. All are welcome.